This is the sixth part of a point-by-point review of the Russian dossier compiled by former MI6 agent, Cristopher Steele, which documents the change in leadership thinking on operational way forward, having being spooked by the growing backlash of hacking and leaking Democratic entities. Target youth in the United States to swing their vote from Clinton to Trump. Engage with high-profile US players, including those in the Trump camp. The Dossier details events in early August 2016 where the head of the Russian Presidential Administration, Sergei Ivanov, assessed the impact and results of Kremlin intervention in the US presidential election to date and decided a change in direction was required in order to be able to keep playing dumb about the hacks. This is because, although intelligence agencies and political commentators around the world believed that the Kremlin was behind the leaked DNC and Podesta e-mail hacks, it still remained technically deniable for Moscow. So the decision was made to not risk their position for the time being with new hacking and leaking material, even to a third party like WikiLeaks, which can get them caught and instead focus on mining the existing content found in the hacks, as well as creating new disruptive content. The internet had known of the “paid Russian troll” all the way back to 2003, but the existence of Russian troll farms was first introduced by Buzzfeed in June 2014 and specific actors, such as the Internet Research Agency in June 2015 by The New York Times, they were mainly conducting pranks and pushing pro-Russian stories on the Ukrainian war. Russian troll farms didn’t start to register as possible political meddlers at all until a Daily Mail article in October 2016 and a Full Frontal report in December 2016, months after this report was filed, proving this claim by the Dossier correct. So far we know of 470 Facebook pages, 200 Twitter accounts, and even Pinterest pages were used by the Internet Research Agency, such as “Secured Borders“, “Heart of Texas”, and the pro-Trump “Being Patriotic“, but investigations are still looking into just how pervasive these trolls were, with some reports claiming up to 70 million viewers per week and posts shared 340 million times. The Russians believed that if they used social media to target the youth in America, they could sway enough votes away from Hillary Clinton and to Republican candidate Donald Trump. As to who they targeted and how, this is still an open question. The House investigation had extended to Cambridge Analytica, President Trump’s data-mining firm during the 2016 election. It was revealed that Cambridge reached out to Russian-linked Jullian Assange at Wikileaks, who released the hacked emails from Podesta and the DNC, to coordinate efforts in finding Hillary Clinton’s emails. They are also looking into seeing if the targeting done by Cambridge overlaps with the Russian targeting, to see if this was a point of collusion as discussed in this Dossier. The Russians fully expected Hillary Clinton to win, but as a result of planting seeds of discontent and conspiracy theories, Clinton in power would be spending most of her attention and energy addressing the sharp divide of the country, rather than being able to focus on foreign policy, giving Russia more freedom to push their interests. The Russian troll farm even prepared a social media hashtag “#DemocracyRIP” they would use to flood social media with. So this is yet another data point in the Dossier that was later confirmed as fact. 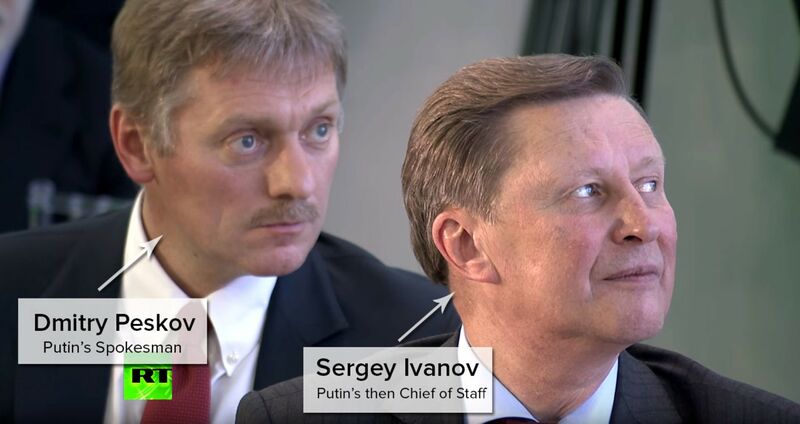 The Dossier details how the Head of the Russian Presidential Administration, Sergei Ivanov, celebrated with Putin over a successful operation. They believed they were able to get satisfactory revenge for sanctions placed on Russia over the illegal invasions of Crimea and Ukraine by driving a wedge between US hawks and the Washington elite. The proof being a large number of Republicans who did not endorse any presidential candidate. Unfortunately this is something we may never confirm. On top of the goals of gathering intelligence and obtaining kompromat, Russian intelligence had looked for the support of sympathetic US political figures. They would approach these individuals, ask them what Russia could do for them, and indirectly fund their trips to Russia. The Dossier names four people, representatives of Lyndon LaRouche, Green Party candidate Jill Stein, and Donald Trump’s foreign policy advisor Carter Page, and his National Security Advisor, General Michael T. Flynn. If you’re not familiar with Lyndon LaRouche then either you never met one of his cult-like wingnut conspiracy theory street peddlers handing out pamphlets on aliens or you just don’t know someone who could quote every Simpsons ever. LaRouche is a racist antisemite and former Trotskyist, who went on to found the Marxist organization National Caucus of Labor Committees, but in the 1970s transformed it into a fascist political cult with a unique ideology centered on grandiose, arcane conspiracy theories. One thing to note about LaRouche is, he has very close Russian connections, once proposed a Russia-US high speed train project, and has spoken at some of the most prestigious events in Russia many times over the years, even at the State Duma, the lower house of the Russian Parliament. And LaRouche’s political action committee has also recently called this Russian Dossier a “total fraud”. However, there is no documentation LaRouche was receiving direct Russian funding. Dr. Jill Stein was the Green Party candidate in 2016, who rode on Bernie Sanders’ coattails and played spoiler to Hillary Clinton, helping to elect Donald Trump as President of the United States. Oh and here is Jill Stein and Michael Flynn (who we will talk about next) having dinner with Vladimir Putin at a Russia Today event, where publicly criticized US human rights policy, while not saying a word about Russia’s horrific abuses. Also at this dinner and sitting next to Stein at her table, Sergey Ivanov and Dmitry Peskov, the two Russians named in this Dossier as the heads of the Kremlin’s intelligence operations to elect Donald Trump. While we don’t know if Stein herself was paid for this speaking engagement, we do know for a fact Flynn was paid at least $45,000 by a Russian propaganda outlet so it would be safe to assume Stein was paid a similar amount, but she has yet to disclose how she paid for her Moscow trip. But as far as any repayment from Putin, we do know the Kremlin-linked Internet Research Agency put out pro-Stein ads on social media. While this is the most famous picture of Jill Stein cozening up to top Russian politicians, she also met with Russian Foreign Minister Sergey Lavrov at another RT party a few months prior. While there is no known evidence of Russia paying Jill Stein’s travel to Moscow, we do know Michael Flynn was paid for the same speaking engagement, which one could assume the same is true for Dr. Stein. We also know Russia paid for some of Jill Stein’s Facebook ads. However, there is currently no evidence that Stein knew about the ads or played any role in producing and promoting them. Two weeks before the Republican National Convention in Cleveland, in July 2016, Carter Page was in Moscow for several days for a speaking engagement at the New Economic School, an institution funded in part by major Russian oligarchs close to Putin, where he heavily criticized the United States, its values, and its foreign policy. At this time the United States Intelligence received reports that Page held a secret meeting with Igor Sechin, a longtime “utterly loyal” Putin associate and former Russian deputy prime minister who is now the executive chairman of Rosneft, Russian’s leading oil company. While this meeting has yet to be confirmed, Page has publicly admitted to meeting with a top executive at Rosneft and to members of the Russian government during his July 2016 Moscow trip. Independent intelligence, separate from this Dossier, have reported Page opened a secret back-channel with senior Russian officials. This intel was so strong, it was actually briefed to members of Congress. However there is no known direct evidence Russia has paid Mr. Page. Where to begin with General Michael Flynn? Flynn was caught by US Intelligence agencies colluding with Russian Ambassador Sergey Kislyak that the Kremlin could expect a reprieve from sanctions that were being imposed by the Obama administration in late December to punish Russia for its alleged interference in the 2016 election. What’s crazy is Flynn was the Director of National Intelligence for a period of time, which means he should have known we were monitoring the Russian ambassador and his conversation would be recorded. Should we mention Flynn was essentially fired for incompetence? We also know Flynn secretly promoted a plan, called “The Marshal Plan“, to build a joint US-Russian nuclear power plants in the Middle East that involved Rosoboron, a Russian state-owned weapons exporter that is under US sanctions, while he was serving as Trump’s National Security Advisor in the White House. We know Flynn received $600,000 in a lobbying deal from a Turkish man with business ties to Russia, and who subsequently blocked a plan to attack ISIS that the Turkish government opposed, all without ever registering a foreign agent or disclosing his lobbying deals. And don’t forget, as stated above Flynn was paid at least $45,000 by Russia for a sit down interview and speaking engagement for the Russian propaganda outlet RT, along with Green Party candidate Jill Stein. The two sat next to Russian President Vladimir Putin, as well as Dmitry Peskov and Sergey Ivanov, both specifically mentioned by this Dossier as the heads of the intelligence operation to elect Donald Trump. 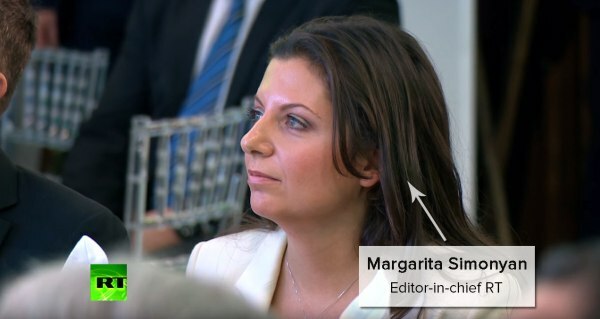 It is also of note that Alexey Gromov, Putin’s head propagandist as well as Margarita Simonyan, RT’s editor-in-chief who, along with Gromov, engaging in “information warfare” against U.S. policies and is described as “closely tied to, controlled by the Kremlin”, was also sitting at Stein and Flynn’s table. We we have verification of Michael Flynn pushing pro-Russian policies and receiving payment for travel, confirming the Dossier’s exact claim. This was some of the cleanest proof of collusion between the Trump campaign and Russia, and some of be best evidence the Steele Dossier was not “debunked” as Fox News would have their viewers believe.